A lovely Ice Cold Treat! Place everything except the cream in your Smoothie Maker, Nutribullet or Blender & Blitz well. 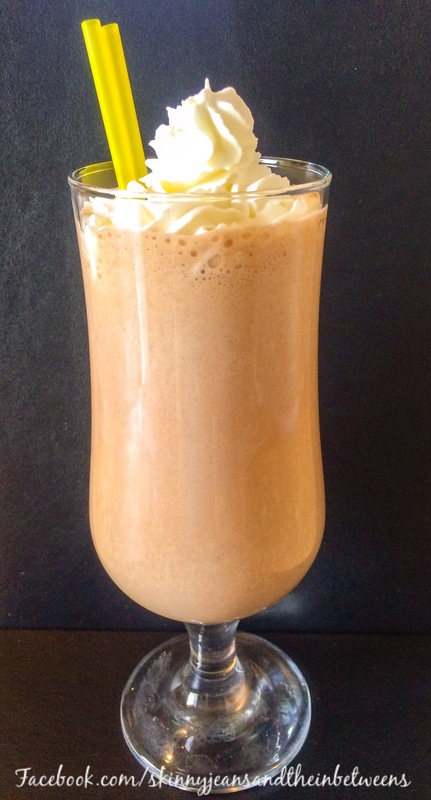 Serve in a long glass with 12g Whipped Cream to top Enjoy! 4pp or 2pp on F&H. You could add a few oats for a more substantial breakfast smoothie just point the extras!